Aspirateur Potain Peural suction kit. 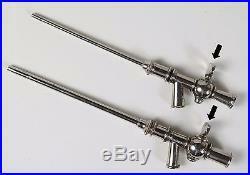 Description: The Aspirateur Potain was used for Pleural Suction and to wash the Pleura. 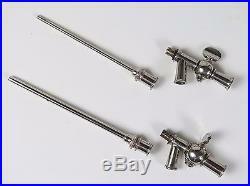 The box contains a stainless steel syringe plunger with a rubber tube attached to its end. The other end of the rubber tube has a metal insert. 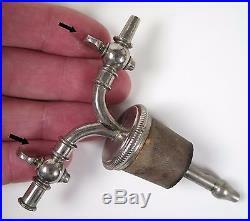 There is a rubber cork with a double tap and three needle-like devices, two of which have taps and all of which have a push/pull internal prong. 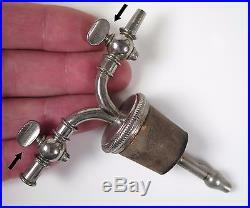 There is also a small piece of rubber tubing with a tapered metal fitting at the end. I do not know if this represents a complete set. 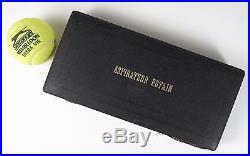 All within a box marked Aspirateur Potain on the lid. Pierre Carle Édouard Potain 1, born on 19 July 1825 in Paris, and died on 5 January 1901 in Paris, was a French cardiologist , known for his work on measuring blood pressure. Dimensions: 25.5cms x 12cms x 4cms Weight: 660gms Condition: Rubber tubing is brittle. The rubber bung appears to be OK. 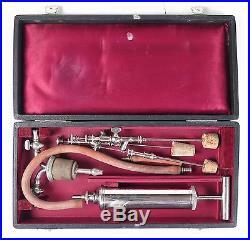 Interesting item for the collector of vintage medical equipment. The item “Aspirateur Potain Peural suction kit. 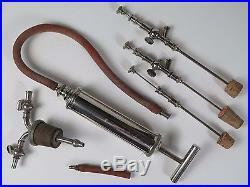 Vintage medical equipment. Film Prop” is in sale since Saturday, July 29, 2017. 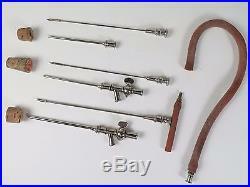 This item is in the category “Antiques\Science/Medicine\Medical Instruments”. The seller is “nigel315″ and is located in St Boswells, Melrose, Borders. This item can be shipped worldwide.